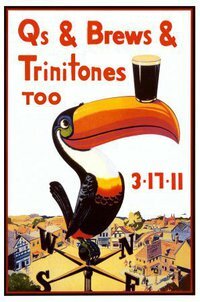 Celebrating 30 Years of Trinitones! 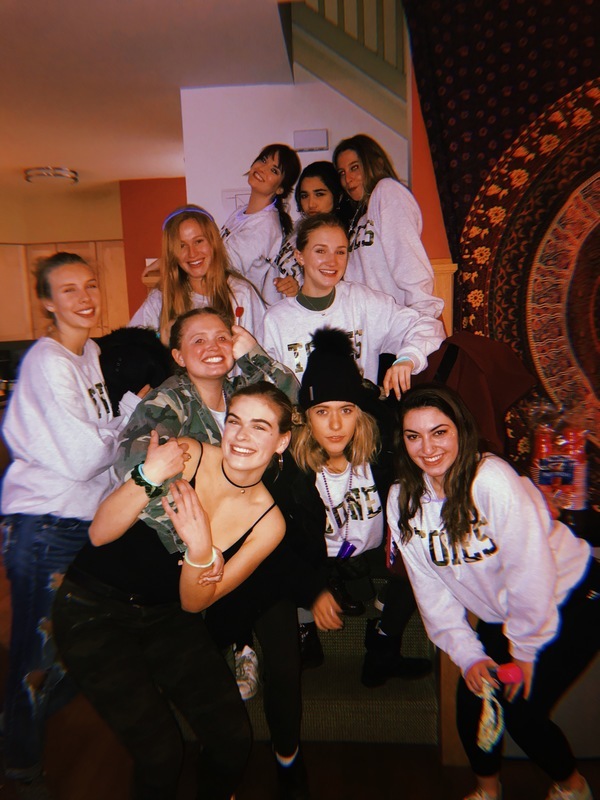 The weekend of April 27th- 29th, the Tones celebrated their 30 years on Trinity's campus by welcoming back alums to talk about all things Tones! 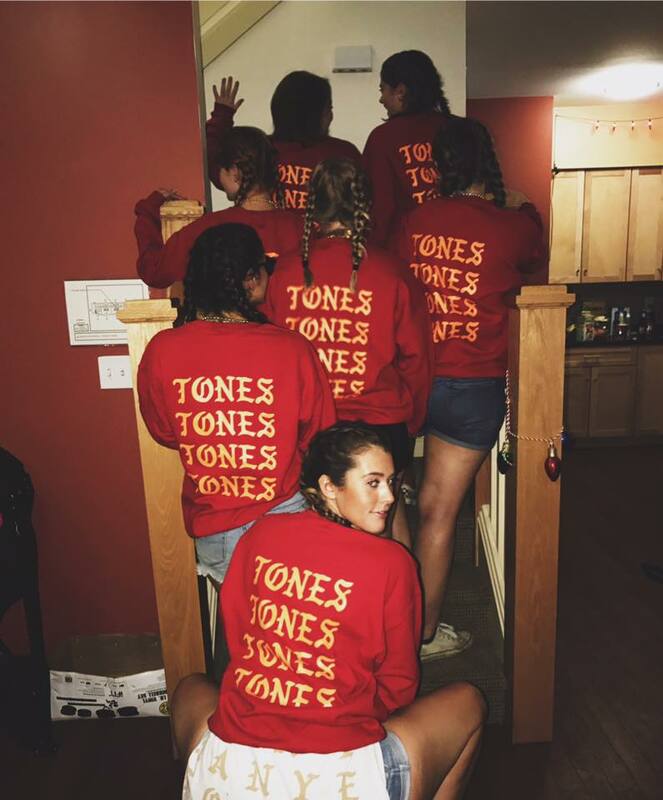 Saturday: A full day of Tones! 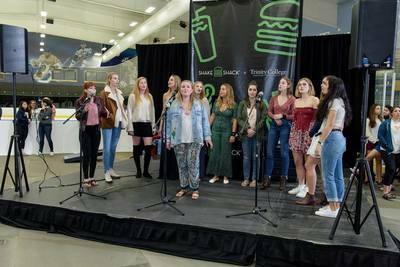 Tones Sing at the Shake Shack Opening! The Trinitones were invited to sing at the Shake Shack pop-up event on campus. 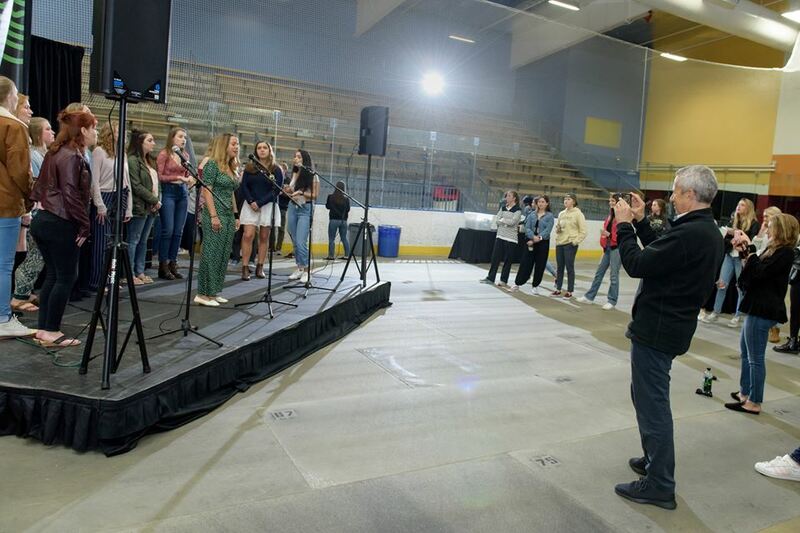 It was such an honor to welcome Shake Shack to Hartford with "Dreams" performed by Gretchen Meyer '20 and "Where You Lead" performed by Anne Smith '19. Welcome our Newton Class of Spring 2018! Please join us in welcoming our Newton Class of 2018 Spring! 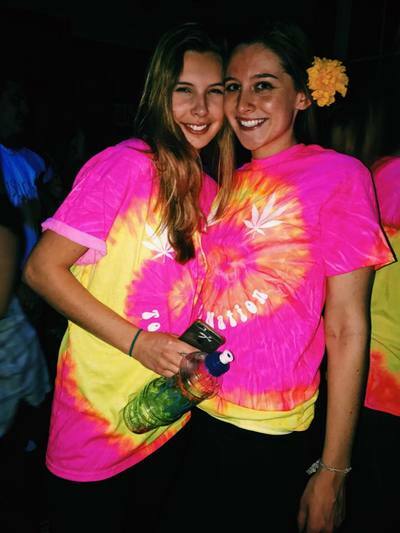 Maura Thompson '21 & Willow Trodden '20. ​We are so excited to start singing with you guys! We had such a great time singing at the welcome back concert in Hamlin on Friday February 2nd! We were so excited to premiere Taz Ahmad's senior song "Kiss From a Rose." We are going to miss two of our juniors this semester when they go abroad so, so much. 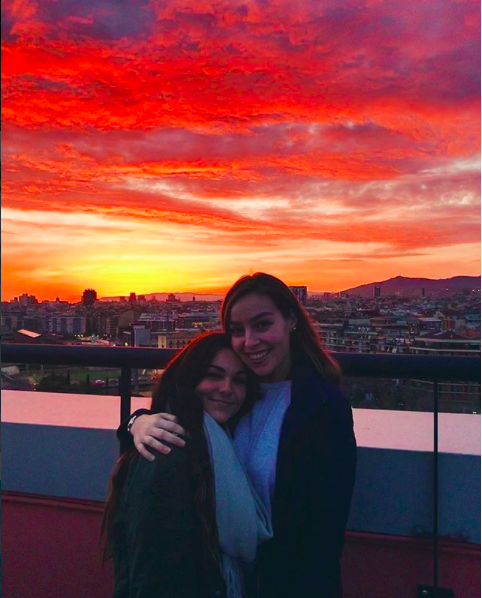 Lucy and Emma are off to Barcelona. 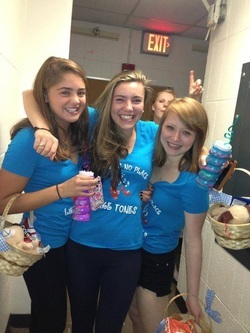 Bye ladies, we love you so much and can't wait for your return! Tones in Benin, West Africa! ​Thank you so much to everyone who came out for our holiday concert. 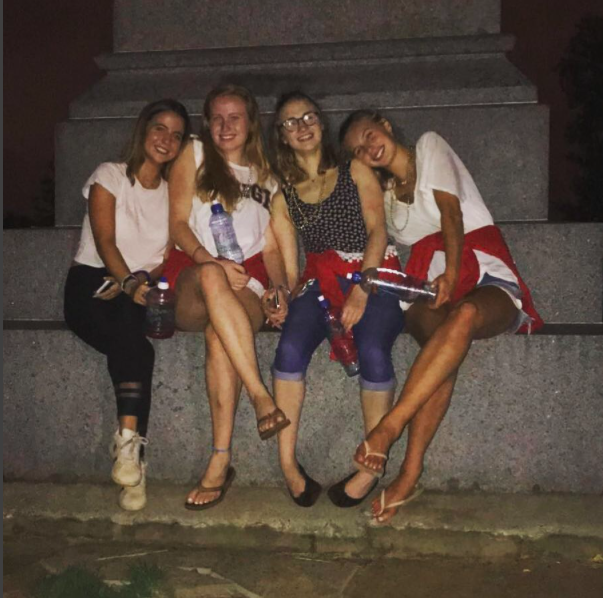 We are happy to announce that we premiered Anna's senior song, Bitter End by the Dixie Chicks and sang both Kira and Nicole's senior songs! We also retired Lucy and Emma's sophomore songs, which we will miss dearly. Hope everyone has a great holiday season, see you in 2018! The Tones would like to thank the Wadsworth for once again inviting us to perform at their festival of trees and traditions. This is one of our absolute favorite events to perform at, and we appreciate any opportunity to sing in such a beautiful place in our great city! Thanks again. We are SO beyond grateful to everyone who was able to contribute to our GoFundMe! We are so happy to announce that we exceeded our goal and are recording our album at Tape Works here in Hartford. We cannot wait to show everyone how hard we've worked this year, keep an eye out for album previews! Welcoming the Newton Class of 2017! Please join us in welcoming our Newton Class of 2017! From left to right: Arianna O'Brien & Hailey Coudert-Morris. ​Please join us for our annual Welcome Back Concert in Hamlin Hall! Auditions for the Tones to follow the concert. We are so excited to announce our leaders for 2017-2018! 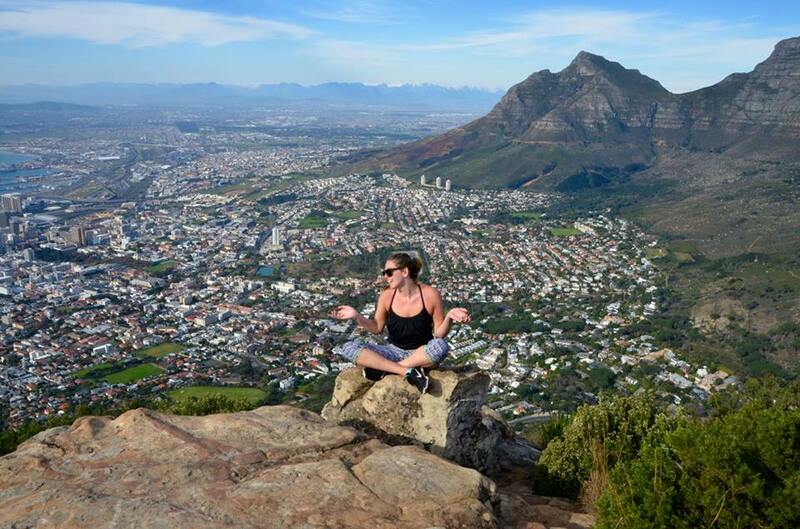 We can't wait to see what this year will bring! ​Eliza Maciag's "Danny Boy," Jamie Brandel's "Desperado," Lucy Leavitt's "Fire & Rain," Emma Martinez- Daniel's "Russian Roulette & Annie Smith's "Where you Lead." Thank you so much to all who came out to our welcome back concert and auditions this semester! We are going to miss two of our juniors this semester when they go abroad! Nicole is going to Sydney, Australia and Kira is heading to St. Andrews in Scotland. Bye ladies, we love you! ​Thank you so much to Governon Malloy for inviting us back to your open house Christmas event this year. We love singing for you and can't wait for the future! ​So much fun singing for our alums and families at Homecoming! Please welcome our Newton class of 2016! We are so beyond excited to welcome our four newest tones this year! ​We are going to miss two of our juniors this semester when they go abroad! Congratulations to our newest leaders! We are incredibly excited to announce our leaders for the 2015-2016 school year! 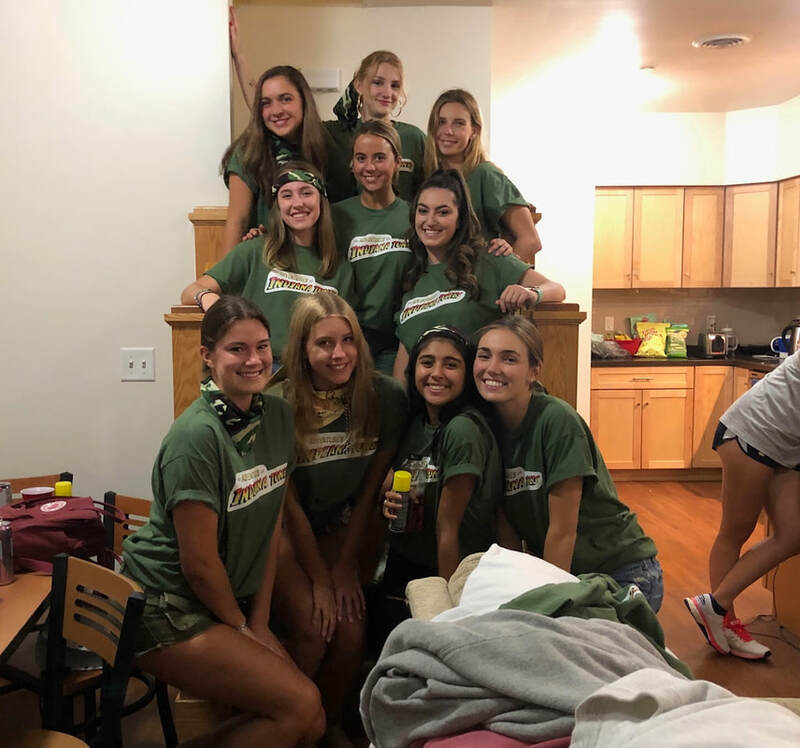 We can not wait to see what these ladies have in store for us this coming year. Congratulations girls! 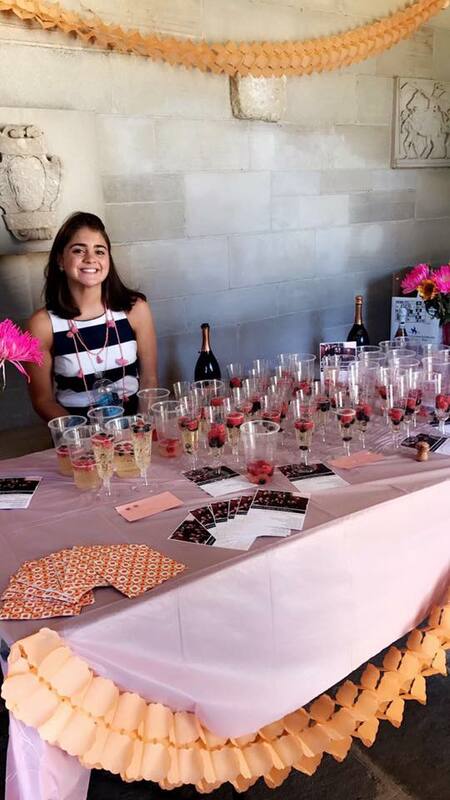 We want to thank everyone who came out to our Spring Final Concert this past Saturday in the Cloisters. It was a beautiful concert and we thank everyone for all of their support. 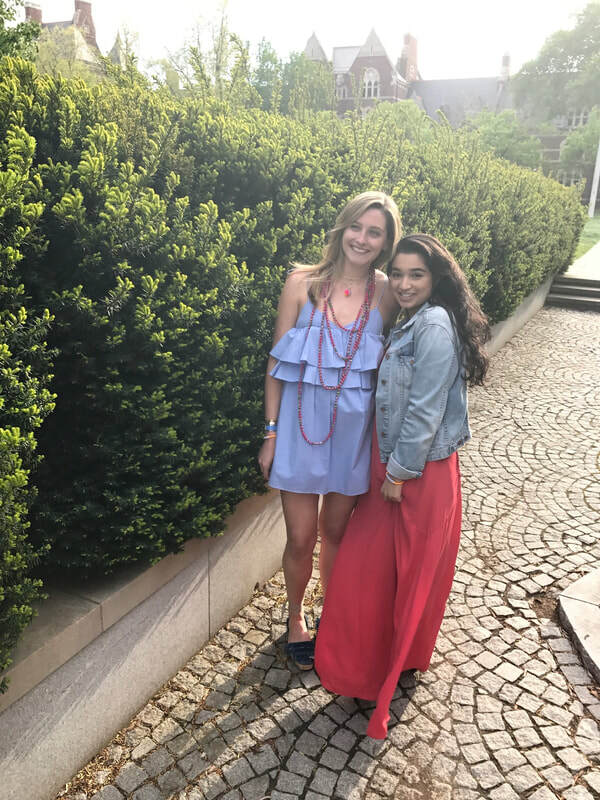 We also want to thank our fearless leaders, seniors Marie Christner and Fiona Brennan, for all their hard work over the past year. Though we are sad to see you go, we can't wait to see all your future successes. Have a great summer everyone! 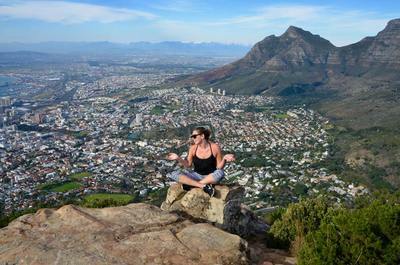 Tones go global! 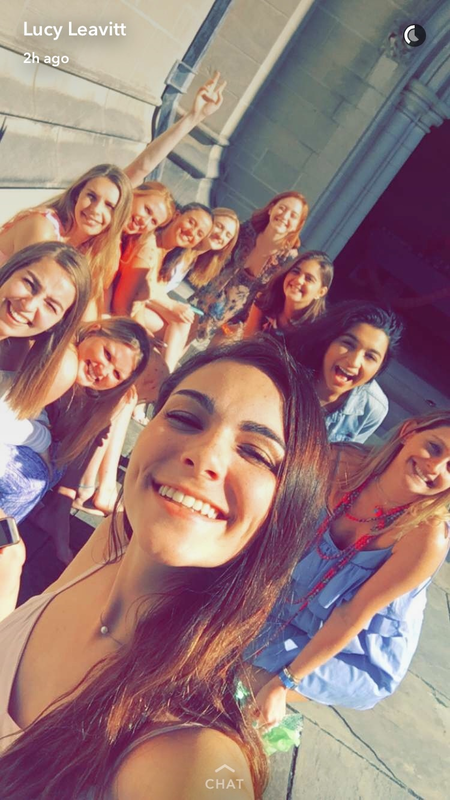 Juniors Maggie Gibson and Caroline Mancusi met up in Paris this past week as part of their European travels while studying abroad. 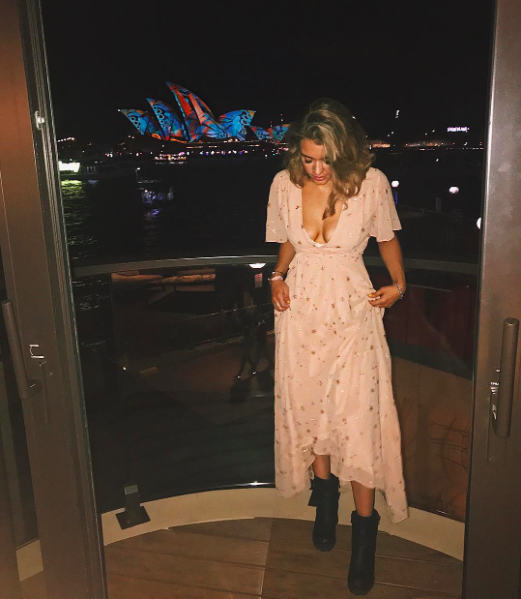 Maggie has been spending the semester chilling with Will and Kate in London while Caroline has been eating crepes and croissants in Paris. Although we are glad they're having a wonderful time, we can't wait to sing with them again soon! 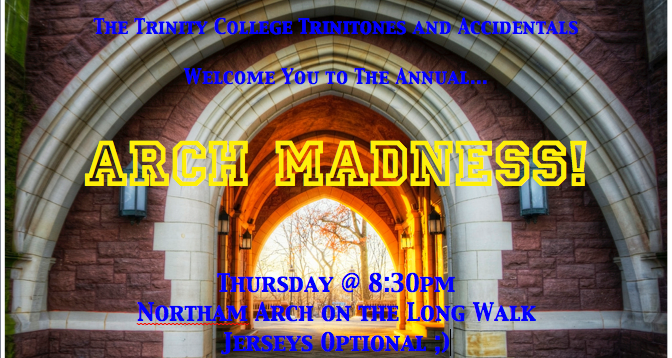 Please join us this Thursday at 8:30pm for Arch Madness, our annual concert with the Accidentals! Don your favorite sports apparel and join us at Northam Arch as we pray for the beginning of spring. We will premiere new songs that we can't wait for you to hear! 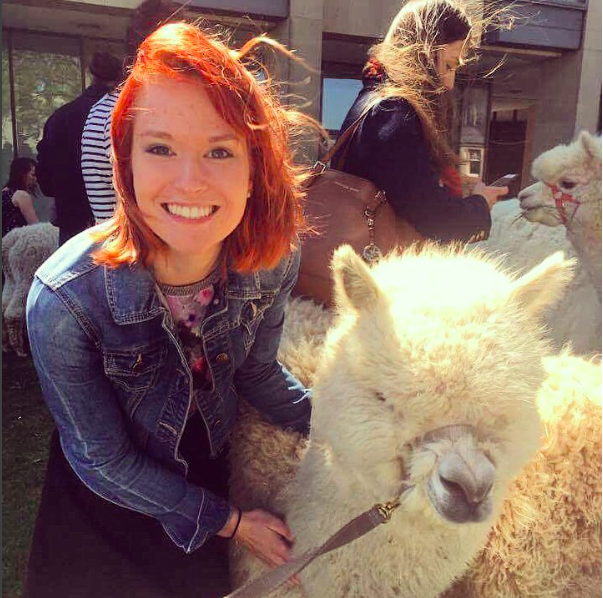 Our newest Newton, Nicole Kerno! Please join us in welcoming our Newest Newton, Nicole Kearno! Congratulations Nicole, we are so excited to start singing with you! Trinitones Perform at Governor Malloy's Inauguration! The Trinitones were honored to perform at Connecticut Governor Dannel Malloy's Inauguration ceremony. The Trinitones joined other Connecticut musical groups to showcase the wealth of artistic talent Connecticut has to offer. We were incredibly humbled by the experience and want to send Governor Malloy best wishes for another successful four years in office! 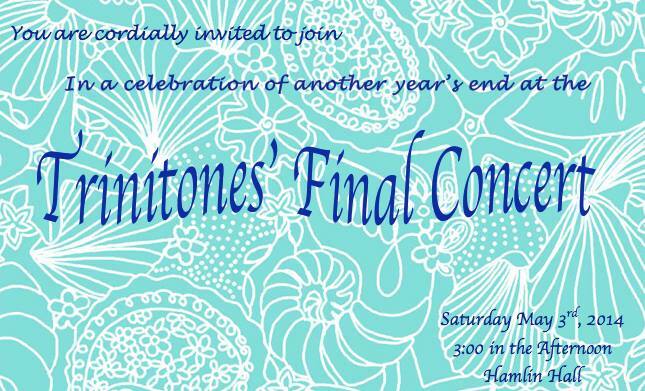 Mistletones, our final winter concert, will take place Saturday December 13th at 4pm in Hamlin Hall. 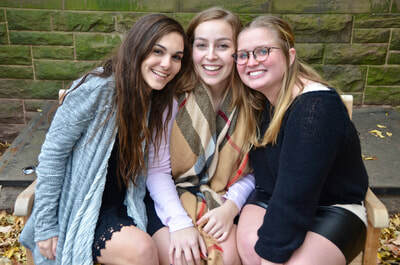 We will be saying goodbye to one of our seniors, Kathryn Durkin, as well as sending off two of our juniors, Maggie Gibson and Caroline Mancusi, who will be studying abroad next semester. We would love to have you so please stop by if you are in the area! Happy Holidays from the Trinitones! Trinitones Sing at the Wadsworth! The Trinitones sang at the Wadsworth Atheneum's Festival of Trees and Traditions this past weekend. It was an incredibly moving performance that we will cherish forever! We hope singing at this event will be our own holiday tradition. If you are in the area, the festival is runs until December 14th, so make sure you stop by and witness the beautiful sights for yourself! 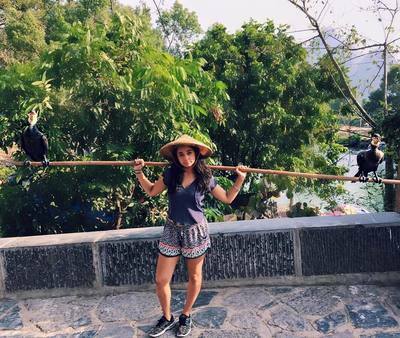 Three of our juniors have been studying abroad this fall semester. Christina Claxton has been studying in Prague, Callie McLaughlin has been studying in Paris, and Maggie Munoz has been studying in New York City. We miss them all very much but know they're having a fabulous time! This Tuesday our extraordinary alum, Rachel Platten '03, will be returning to Trinity for an exclusive performance! 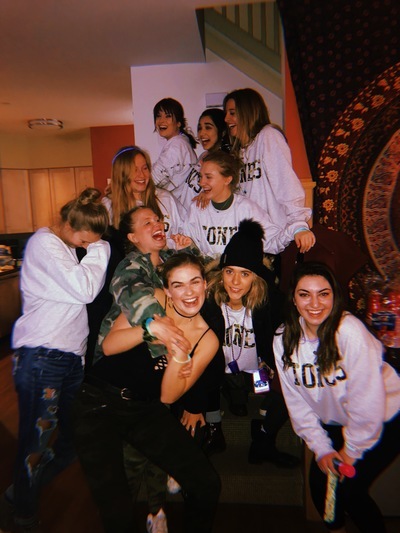 After working hard on her second album and receiving praise for her latest single, Fight Song, Rachel is currently traveling around New England on her Fall House Tour. She will be performing at the Mill at 6:30. We hope to see you all there! Happy Halloween from the Trinitones! 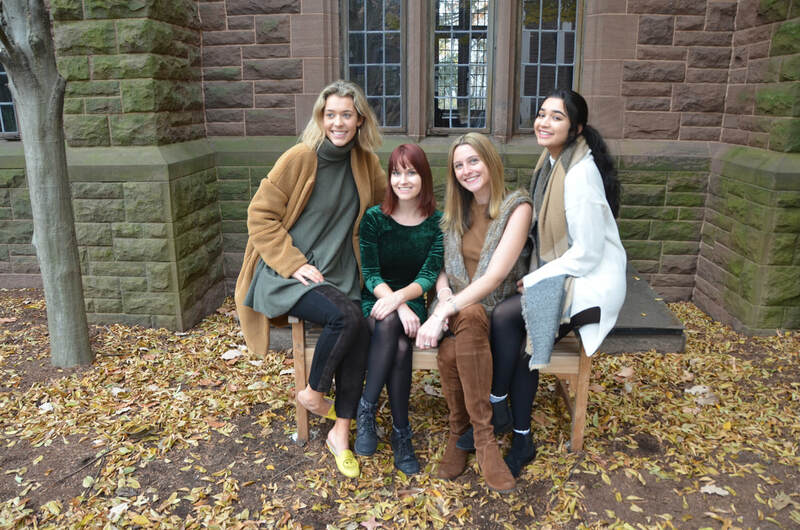 This past week, the Trinitones were honored to sing for our new President, Joanne Berger-Sweeney, at the Wellesley Club of Hartford annual meeting. The Trinitones will join all the other music groups at Trinity to sing at President Berger-Sweeney's Inauguration this Sunday, October 26th. We are very excited to take part in this extremely historic event. This weekend the Trinitones are hosting the Williams Octet for Octonerfest! 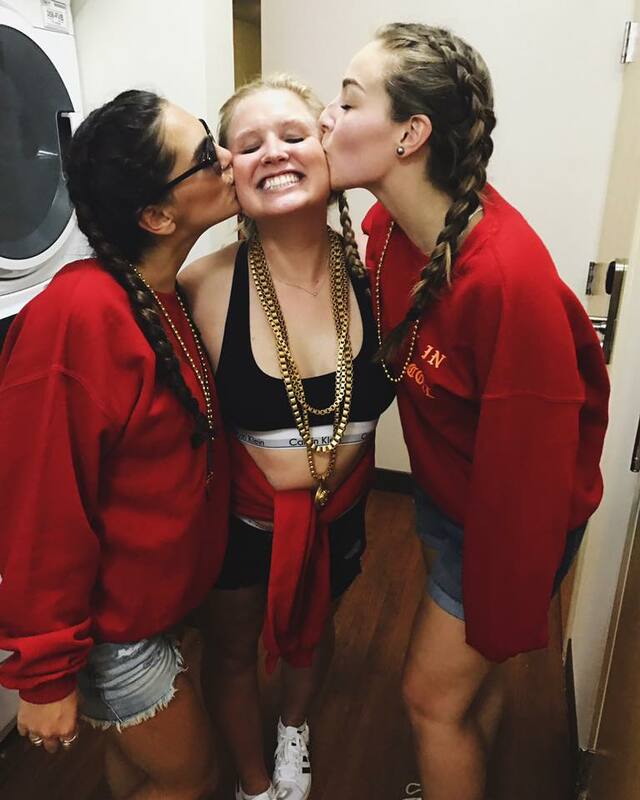 Make sure you stop by Northam Arch at 9pm to celebrate Oktoberfest the best way, in song. Hope to see you all there! Introducing our 2014 Newton Class! Sail into a new year with the Trinitones! Please join us this Friday at 7pm in Hamlin Hall for the Annual Welcome Back Concert. After performances from all groups, we will be holding auditions directly afterwards in Hamlin. So jump aboard and come audition for the Trinitones! 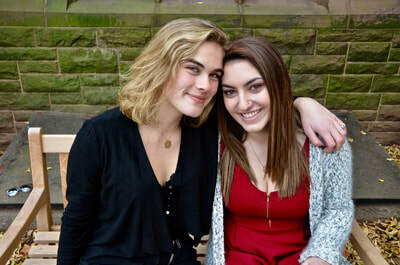 Our biggest congratulations go out to our seniors, Maddie Dickinson and Tina Lipson! 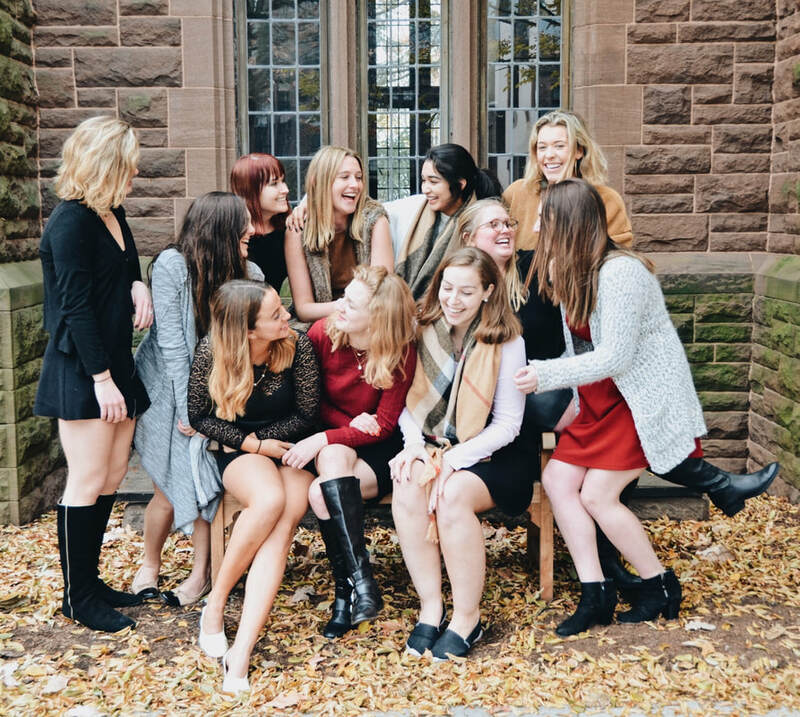 We could not be more proud of all of your accomplishments this year and throughout your time at Trinity! You will both be missed as not only our friends, but the glue that holds us all together. We could not have gotten through this year without all of your hard work, dedication, and undeniable spirit. Though we are all sad that we will not see your beautiful faces every day, we know that you will be doing amazing things. We love you! 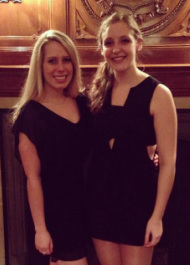 The Trinitones are proud and excited to present our 2014-15 Music Director, Marie Christner and our Public Relations Manager, Fiona Brennan! We cannot wait to see what the upcoming year has in store for us and we are proud to have these two ladies in leadership positions! 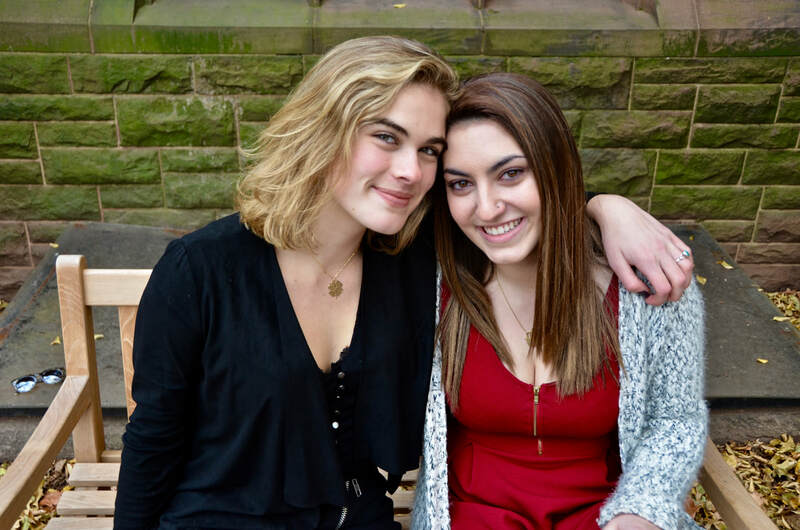 Please join us as we celebrate another fabulous year and wish our seniors, Maddie Dickinson and Tina Lipson, farewell! We cannot believe it is time for them to graduate! This is truly a concert you will not want to miss. See you in Hamlin! This Thursday night, the Trinitones perform with the Bates College Manic Optimists! We hope you can join us at 9:30 in Hamlin Hall! You are cordially invited to join the Trinitones as we sing with the Accidentals, Dischords, Pipes, and Quirks in the annual Spring Auditions Concert. We are honored to be singing with such a talented group of performers! The concert will take place at 8:30 in Hamlin Hall! We cannot wait to see you there! The Trinitones would like to formally announce the recording of our 2013-14 album! We have all been working incredibly hard to polish our sound and fundraise for this upcoming album. If you have a second, please click on the button below to visit our fundraising website. All the donations we receive will help offset the costs of recording, mixing and mastering. Even just spreading the word would help us tremendously. Thank you so much for your support and we cannot wait to share all of our hard work with you! 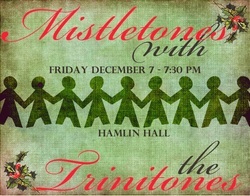 The Trinitones would like to cordially invite you to Mistletones: The Trinitones Final Concert. Please join us as we display all of our hard work from this semester. There will be Christmas songs, traditional songs, and, of course, a couple of our newest additions! We would absolutely love to see you there. From our family to yours, Merry Christmas and Happy New Year! Merry Christmas from the Tones! It's finally that time of year! The Trinitones would like to wish you Happy Holidays! Thank you for all of your love and support! 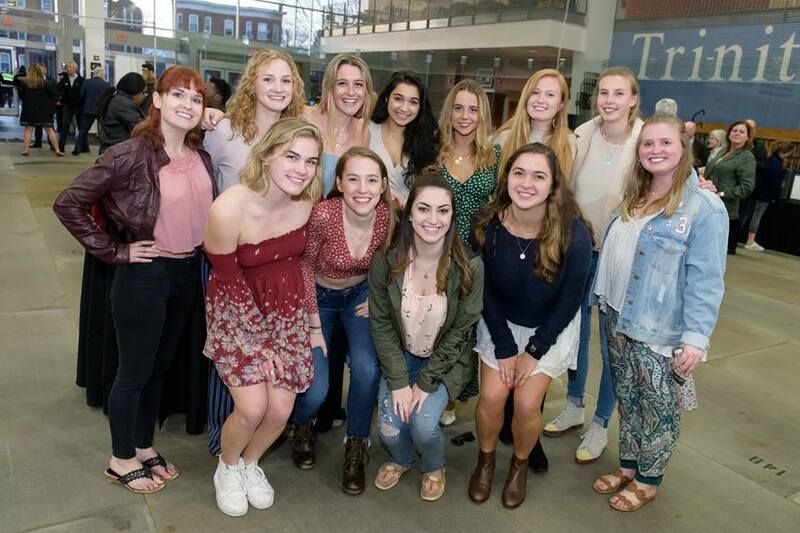 It was such an honor to pair up with the Trinity College Dance Company for the annual Turns and Tones performance and we would like to thank everyone who came to see the show! A huge thanks to the Dance Company who were beautiful and amazingly talented as always. 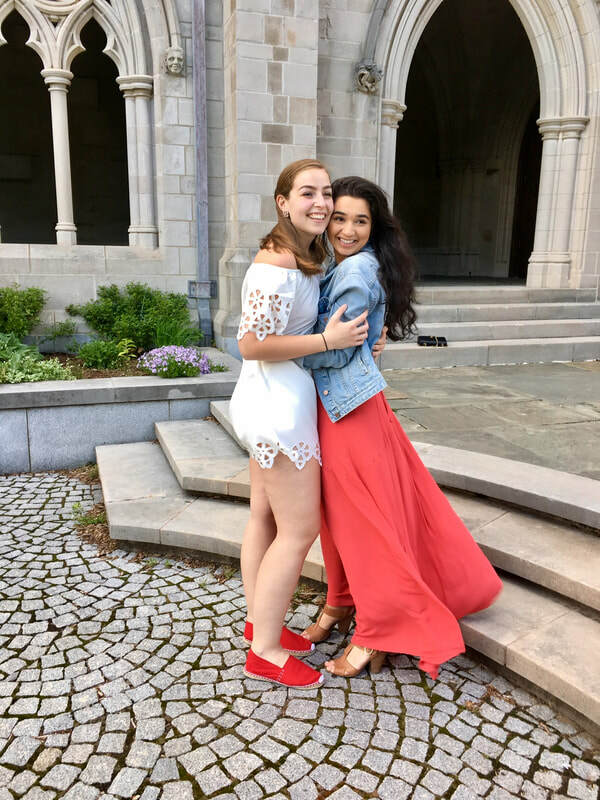 Also, a big congratulations to Maddie Dickinson for premiering her senior song, Landslide, and Maggie Munoz for premiering her sophomore song, I Feel A Sin Comin' On! Thank you to everyone who attended the Chordial Tones concert! We had such a blast singing with both the Dischords and Hawkapella! Stay tuned for more events! Thank you to everyone who came out to see us at Tone Your Pipes on Friday! We absolutely loved singing with the Pipes; they sounded beautiful as always! A big congratulations to Tina Lipson for premiering her senior song, Lights by Ellie Goulding! Happy Halloween and stay tuned for more events! Congratulations to the 2013 Newtons! We are so proud and excited to introduce our Newton class of 2013! Congratulations Keely Conway, Jamie Brandel, and Eliza Maciag!! Welcome to the Trinitones! There's No Place Like The Welcome Back Concert! Please join us as we sing with the Pipes, Accidentals, Dischords, and Quirks at the Welcome Back Concert! We are so excited to be back and to display our hard work for everyone on Friday, September 13 at 7 PM in Hamlin Hall. 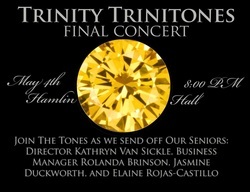 Auditions for the Trinitones will be held directly after the concert in Hamlin Hall. 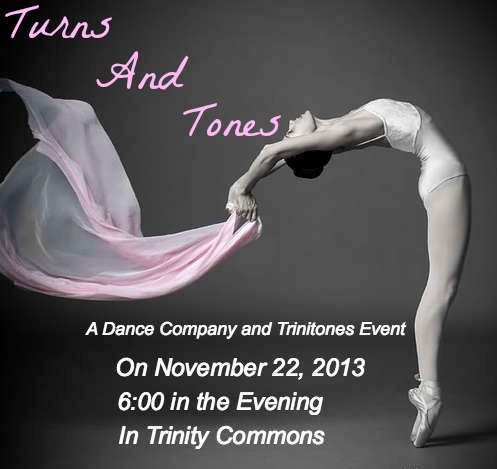 We hope to see all of you there and remember There's No Place Like Tones! The Trinitones are proud to present our new leadership for the 2013-14 year! 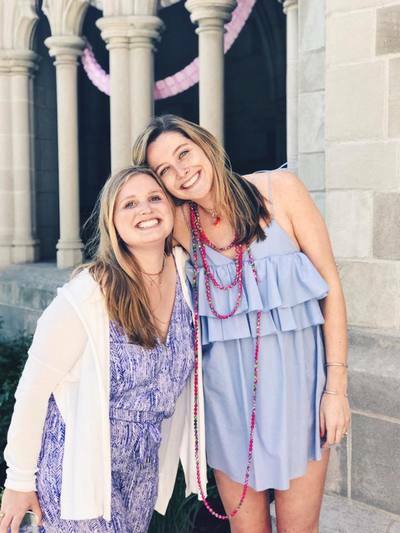 Congratulations to Business Director, Maddie Dickinson, and Music Director, Kathryn Durkin. We are so excited to see what this year has to bring and are proud to call you our leaders! Our biggest congratulations to our President, Ayala Cohen, on being Trinity's newest graduate! We could not be more proud of you and your accomplishments. We will truly miss your positive attitude, grace, and talent! Congratulations, Ayala! We love you and you will be truly missed! Thanks to everyone who attended our 25th Anniversary Concert and Reunion! 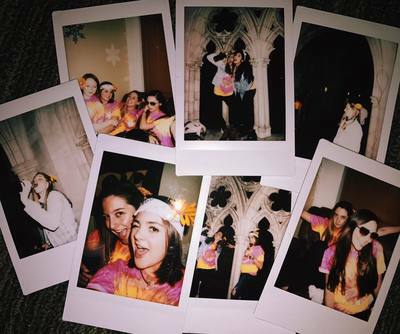 We had a blast meeting the founders and past tones, learning new songs, and sharing stories. This amazing day will not be forgotten!! 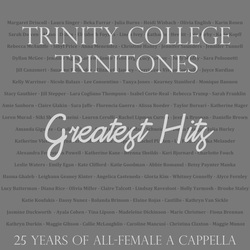 If you didn't get a copy of the "Trinitones Greatest Hits" CD or would like another, don't hesitate to contact us. Arch Madness with the Accidentals was a hit!! We premiered two of our sophomore songs, "We Belong" by Pat Benatar and "Every Teardrop is a Waterfall" by Coldplay, as well as a joint song "Knock You Down" by Keri Hilson with the Dents'. Stay tuned for videos! 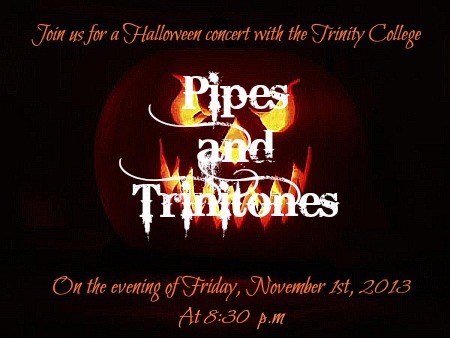 We will be singing with the Trinity College Dischords as well as our special guests, the UCONN Conn-Men!! CONGRATS TO OUR NEWEST NEWTON, MAGGIE MUNOZ!! 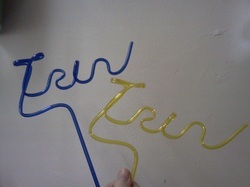 They come in blue and gold. Contact any Tone to purchase! Happy Holidays!! Come join the tones in spreading holiday cheer! Special holiday prizes and treats will be waiting. Don't miss the sweet music of the two oldest a cappella groups on campus in our second annual collaboration with the Trinity Pipes! Help us raise great cancer awareness at Hillel's Pink Shabbat! Join us and the Moveable Joints, Trinity's improve troupe, for a night of songs and laughs to get ready for 80's! Saturday, October 20th, 7:30pm in Hamlin Hall. That's right, this year is our 25th Anniversary! 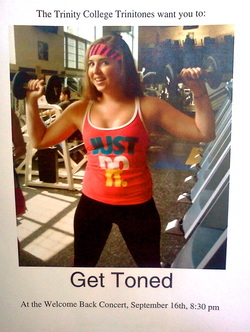 If you are a Tone Alumna (once a tone, always a tone! ), message us your email address via our Facebook page! We have exciting plans in the works! Say Hello to the 2012 Newtons!! We are thrilled to have Maggie Gibson, Caroline Mancusi, Callie McLaughlin and Christina Claxton from the Class of 2016 join our Tone family! Welcome ladies! Want to be a Trinitone? Come Audition September 8th in Hamlin hall after the Welcome Back Concert! Congratulations to Ayala Cohen, the new President, and Tina Lipson, the new Musical Director!! Come out to Hamlin Hall Friday, May 4th to say goodbye to our beautiful and talented seniors. 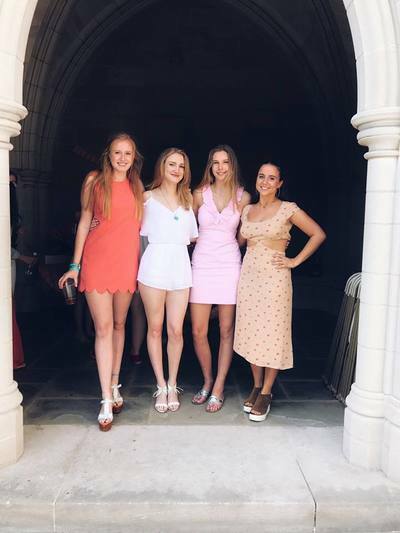 Kat, Roly, Jazz and Elaine- you will be very missed! 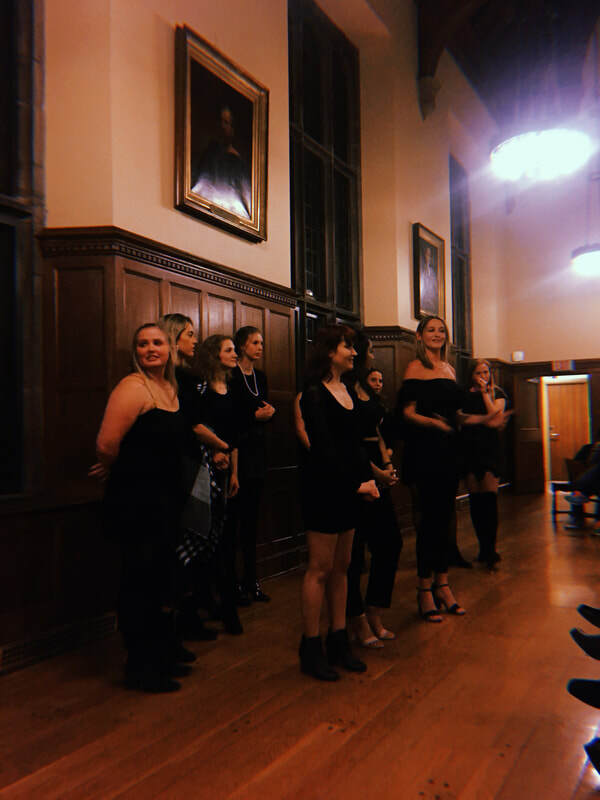 Come see the Tones sing with the Discords in Hamlin Hall at 9:30 tonight! We will be singing a BRAND NEW SONG! Buy a serenade for that special someone today! Come to the Welcome Back Concert in Hamlin Hall at 8:30 pm on Friday, September 16th to experience the amazing a cappella community of Trinity College. Auditions will follow directly after the concert if you are interested in being a Tone! 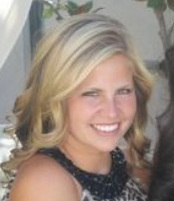 Congratulations to the newly appointed Director, Kathryn Van Sickle! We know you will do great thing this year. 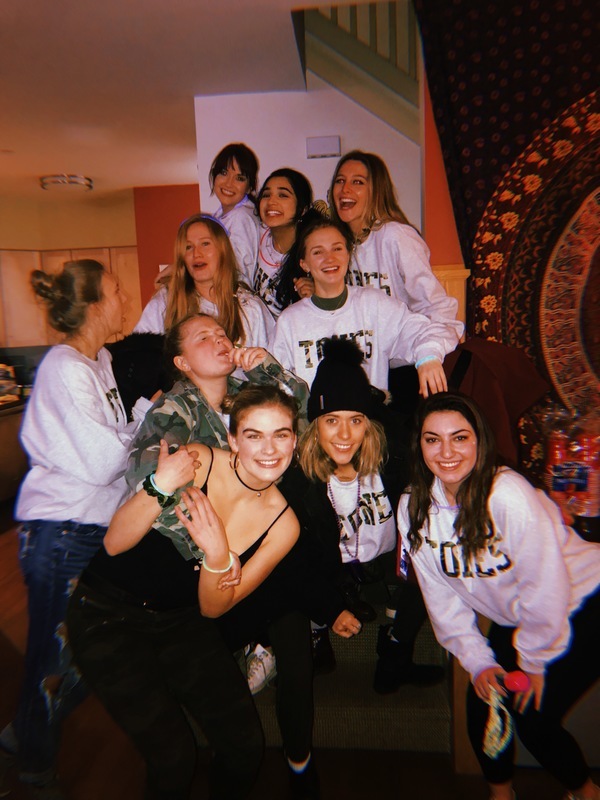 A shout out to the Tones we had to say goodbye upon graduation: Brooke Staley, Holly Yarmosh, Dassy Nunez, Lindsey Ravesloot, and Caitlin Koufakis. We wish you the best as you move forward, and we will miss you all dearly! What better way to celebrate St. Patty's Day then with a little a cappella? 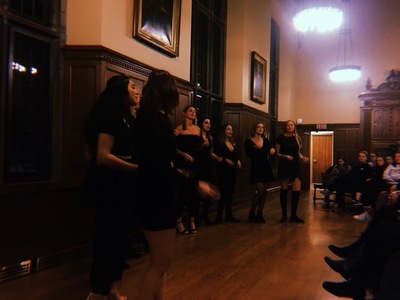 Join us in Hamlin Hall on Thursday, March 17th for our joint concert with the Trinity College Quirks! For the small price of $8.00, the Trinitones will come serenade your friend, significant other, crush, teacher, student, etc. on Thursday, February 10th! We have a large list of songs to choose from, and we can perform for your person anywhere. Come by Mather Hall at either lunch or dinnertime to sign up!